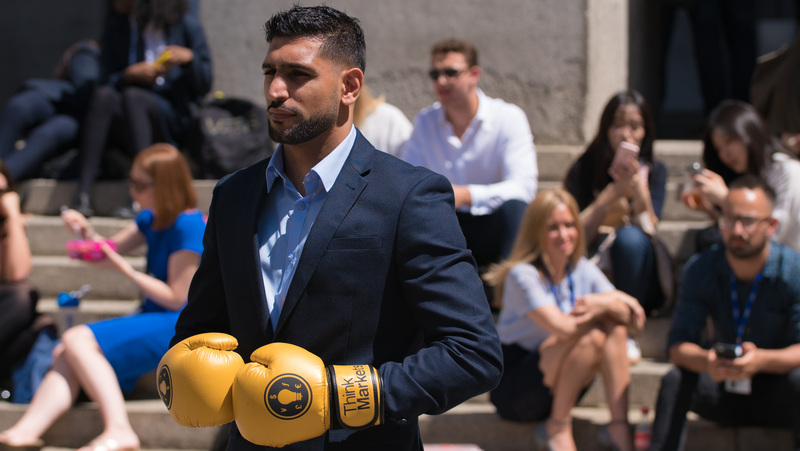 Boxing superstar Amir Khan has launched a new initiative in London today aimed at addressing youth crime in partnership with online financial trading broker ThinkMarkets. More than 100 young people have been murdered in London alone this year and Khan will work with ThinkMarkets and charity partners to raise funds and support initiatives to help young children get off the streets using financial education and the power of boxing. Amir Khan said: “ThinkMarkets have ambitious plans to address youth crime and together I am confident that we can make a real difference through our ‘Ring the Changes’ initiative. “I faced challenges as a young man and I’ve been fortunate that boxing has given me opportunities and a support network that has helped me throughout my life. Not everyone is as fortunate as I have been and alongside my boxing career, I want to do some good in the world, helping young people. Tonight (December 3) Khan will auction an exclusive training session and VIP tickets for his next fight with funds going to sport for employment charity Street League, that delivers a powerful programme of sports combined with employability coaching to young people from the most disadvantaged communities in the UK in order to improve their life chances. Khan will also work with ThinkMarkets to secure employment in the City for 100 young people from disadvantaged families by 2022 and is planning to collaborate with an amateur boxing club to provide inspirational talks and fundraising activities to support its members. The collaboration will also see Khan and ThinkMarkets run masterclasses together for the trading community, with the boxer giving talks on having a successful mindset and how to manage emotions. ThinkMarkets is a financial broker with head offices in London and Melbourne, licensed by two highly trusted financial regulatory bodies (FCA & ASIC). Founded in 2010, ThinkMarkets offers access to a wide range of financial markets (including forex and CFDs on equities, cryptocurrencies, commodities, indices and futures) at some of the most competitive trading conditions in the market. This press release was distributed by ResponseSource Press Release Wire on behalf of Calacus Public Relations in the following categories: Sport, Business & Finance, Public Sector, Third Sector & Legal, for more information visit https://pressreleasewire.responsesource.com/about.